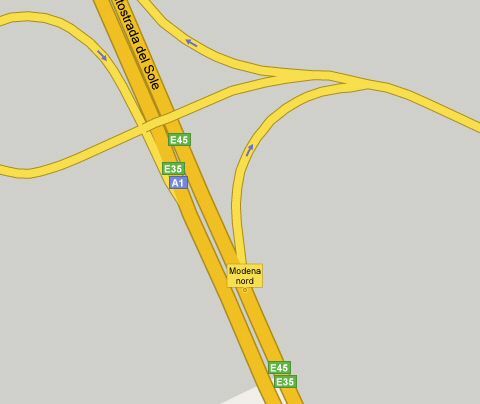 Motorists should leave the A1 autostrada at Modena Nord. 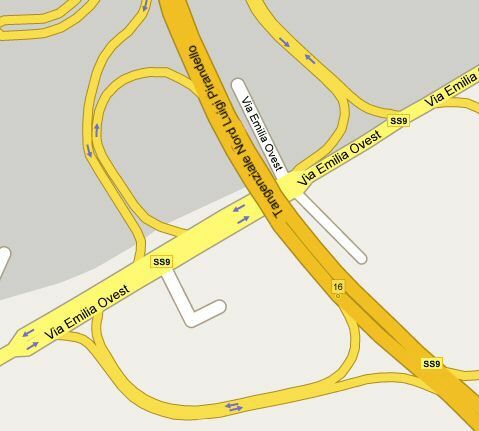 Once through the toll gate, carry on along the exit road keeping to your right until you reach the first roundabout. At the roundabout take the right-hand side slip road turning right onto a dual carriageway, following the directions for Modena Centro/ Reggio Emilia. Carry on along the dual carriageway keeping to the right. 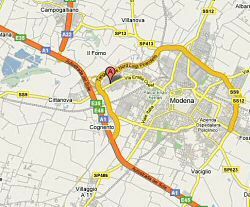 Continue along the dual carriageway and after about 400 metres, just before the overpass bridge, take the first exit on the right - following the directions to Reggio Emilia. Continue on along this slip rod for about 100 metres. 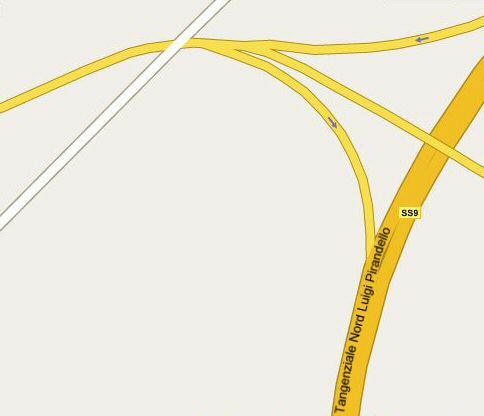 This slip road takes you onto a dual carriageway (this is the Modena ring road - Tangenziale Nord). Continue for about 1200 metres and immediately after the overpass take the second exit on the right - again following the directions to Reggio Emilia. This slip road leads to a T-junction. 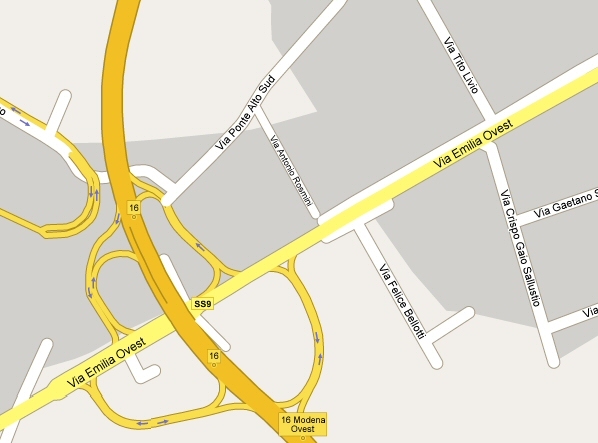 Turn right into Via Emilia Ovest. Carry along Via Emilia Ovest for about 500 metres and you will find Via Tito Livio on your right-hand side. Once you have turned right into Via Tito Livio, you will find the Candini Workshop about 150 metres down on the left-hand side of the road. You can't miss it, look out for the Maseratis parked outside the front entrance! !